The Beast Coast Formation: Will They Finally Get Their Due Credit? 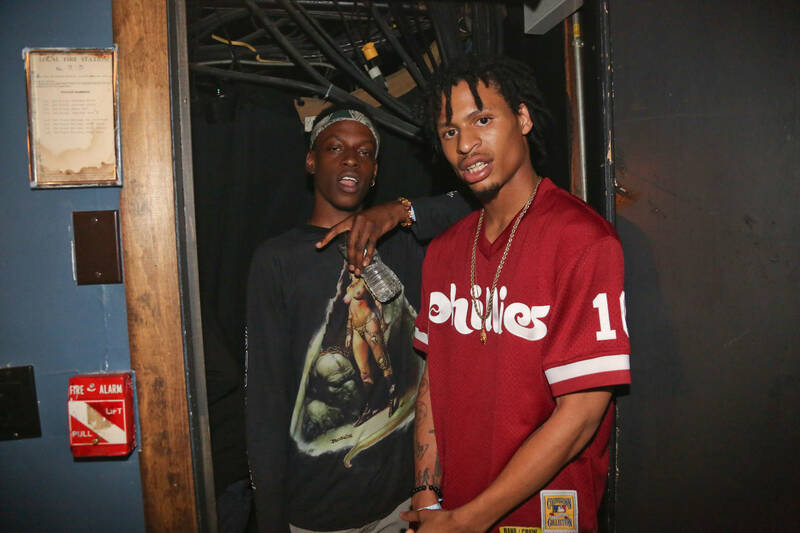 Home>Music> The Beast Coast Formation: Will They Finally Get Their Due Credit? As their debut album approaches, we examine why even Beast Coast's biggest entities are still burdened with the title of "slept on" in the industry. Steeped in industry politics since his adolescence, Joey Bada$$ has never been one to withhold his thoughts. After all, it was his own resourcefulness and self-belief that plucked him from youthful anonymity and brought Joey and his Pro Era cohorts into the public eye. Nearly a decade after he was headhunted by Cinematic’s Johnny Shipes, the Flatbush native has gone from boom-bap indebted wunderkind to a top tier MC. Yet despite his artistic prestige and reputation for honest expression, some bars that allude to his stature in the hip-hop hierarchy have ruffled some feathers. For the most part, his claim has been largely balked at and paid no mind despite his impeccable abilities and pedigree of his work thus far. Viewed as little more than that unchecked bravado that he’s had “since little school,” it feeds into an ongoing predicament that Joey has been entrapped in since he first rose to prominence. At once lauded for his technical wizardry but regularly tarred with the indelible brush of being “slept on,” it’s a plight that he's shared with his Beast Coast brethren in Pro Era, Flatbush Zombies and The Underachievers. Renowned for their indisputable skills, thought-provoking motifs and unique spins on hip-hop convention, Beast Coast’s biggest exports hold the rare distinction of commanding fanbases around the world without making any major concessions to the prevailing commercial sound. Cruising in a lane of their own devising, the real question is whether or not Joey, Meechy, AK and their fellow Brooklynites have been casualties of an industry that places a higher premium on accessibility than ambitious output, and whether or not that course can be altered. "It’s about lyrics and content and… some form of layers. N****s don’t even be using metaphors no more, it’s just like ‘there’s weed I smoke high’… new song coming out, ‘hoes, money, money.’ That’s the name of the new track." Since then, they’ve been unwilling to renege on this stance and went as far as to proclaim, “Man f**k that (*mumbles*) that mumble rap, It's that skully low rumble rap” on their 2018 LP Vacation In Hell. Outcasted from the charts but ubiquitous with underground excellence, the combined strength of this subset of New York rappers has never been more clear than in the past month. In typically left-field fashion, the official debut single of Beast Coast as a rap group arrived from out of nowhere and came in the form of “Left Hand.” The precursor to a collaborative album and summer tour, the foreboding beat from Tyler Dopps and Sam Wish gave each member free reign to regale listeners with their own accomplished flows and wordplay. As one consummately delivered verse bleeds into one another, it’s clear that aligning PE, UA and FBZ on one track makes for a murderers’ row of MC’s that few could trifle with on a bar-for-bar level. 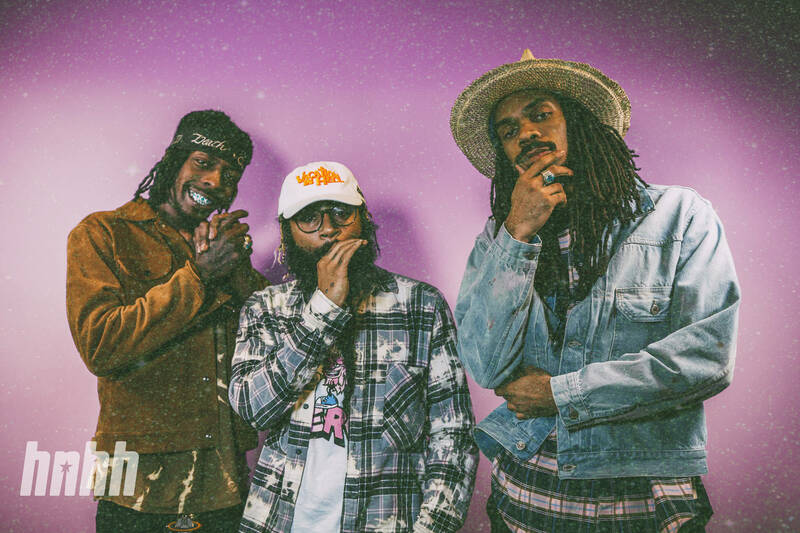 Joyously received by fans, “Left Hand” not only whet our appetite for a project that we didn’t even know we needed but has taken Beast Coast into a new facet of the industry where they’re regarded as a cohesive unit. Whether it’s a conscious decision or a fortuitous coincidence, their decision to formally consolidate their efforts could impose the group on a conversation that they’ve been regularly omitted from on a technicality. When it comes to fantasy warfare between modern hip-hop collectives, the two constants in the debate are the West Coast’s Top Dawg Entertainment and the creative utopia of Dreamville. Headed up by globe-trotting superstars in J. Cole and Kendrick Lamar but bolstered by a undercurrent of less commercially viable but no less cherished artists such as Ab-Soul, Isiah Rashad, Bas, J.I.D, Reason and King Mez respectively, the concept of the two labels duking it out on wax has left hip-hop heads tantalized of late. Although fewer platinum plaques adorn their walls, Beast Coast’s decision to progress from an abstract concept into a conglomerate has demonstrated that their roster boasts just as much talent as these two industry staples, reinforced by Nyck Caution's "Left Hand" rallying cry of "name another crew that we less than!" Although they’ve rebuked any notion of integration with the mainstream in a way that TDE and Dreamville never aimed to, their decision to come together as a “supergroup” is likely to garner them no shortage of new converts. Never one to dilute their message, “Left Hand” served as an indication of what to expect and made it clear that their stock-in-trade won’t hinge around easily consumable hooks but from those classic philosophical, social and existentialist concepts that are transcribed into the form of hip-hop. Once the album drops, the newly acquainted will likely make a beeline for each entity’s back catalogues in much the same way that veterans such as Run The Jewels and Freddie Gibbs & Madlib received a new lease of life after repacking themselves as groups. With that, their legacies could be given that intangible boost that they’ve always sought to come out of the "slept on" ranks. Annexed on the outskirts of wider acclaim for too long, the eternally underrated crew may finally get their due as one of a powerhouse in hip-hop. "Ten years from now, when we look back on the music we’ve created, we can be proud knowing that we were representative of the Flatbush we’ve always known." Cardi B Worried Kulture Will Forget Her Due To Busy Schedule: "It's Very Hard"
MUSIC The Beast Coast Formation: Will They Finally Get Their Due Credit?